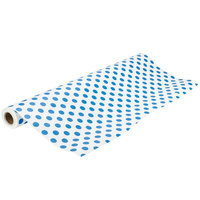 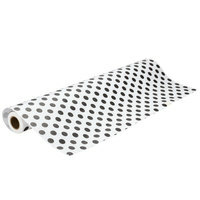 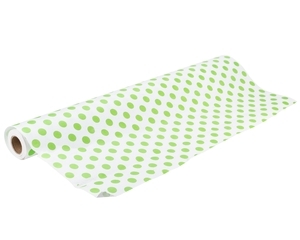 Protect your table in style with this 40" x 100' paper table cover with green polka dots. 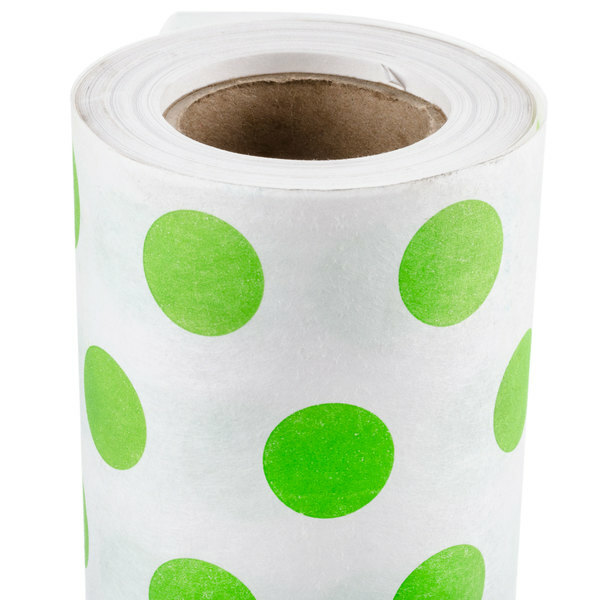 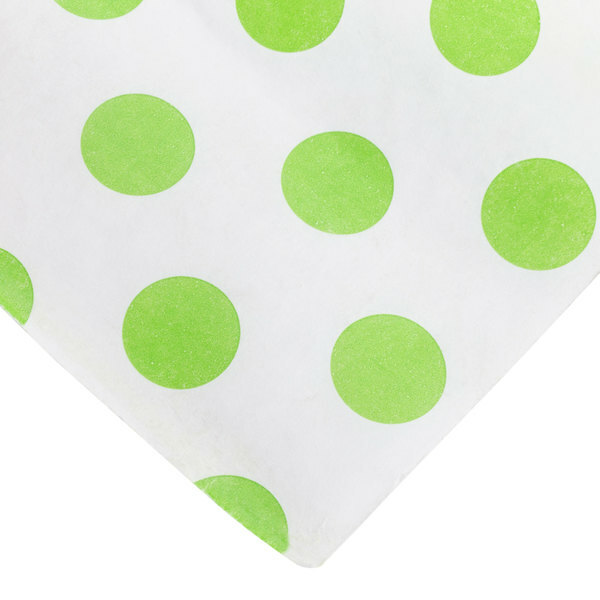 Bring an unexpected retro flair to your next event with this eye-catching green polka dot table cover! 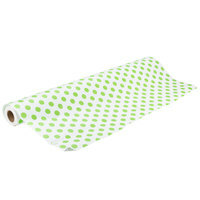 Its classic green on white pattern is great for receptions, parties, or other special occasions. 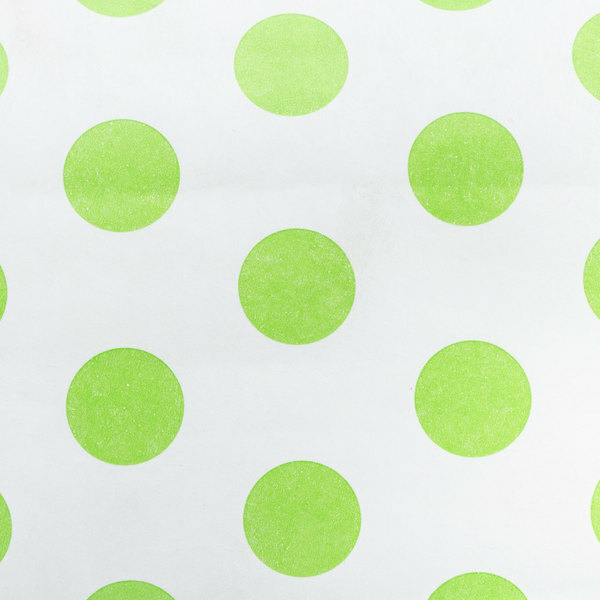 Use it for everyday service at your modern restaurant, outdoor eatery, or contemporary casual dining facility, or cover tables at your bakery's creative cake-decorating classes for a fun look your students will love. 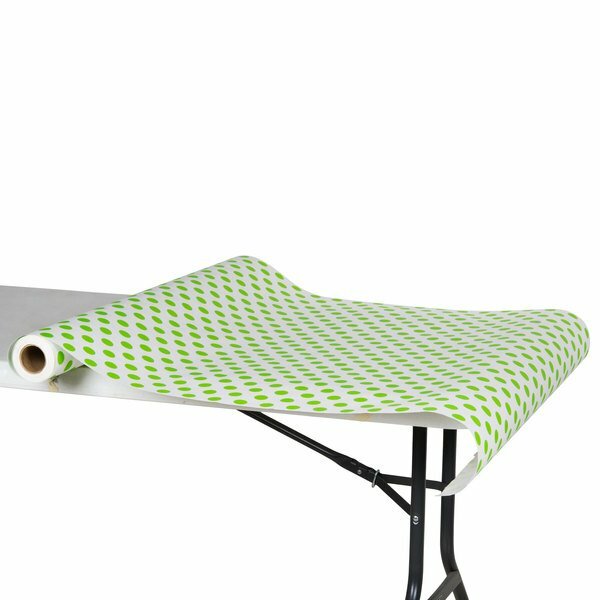 Thanks to the wide, 40" width, this table cover is designed to fit most standard tables. 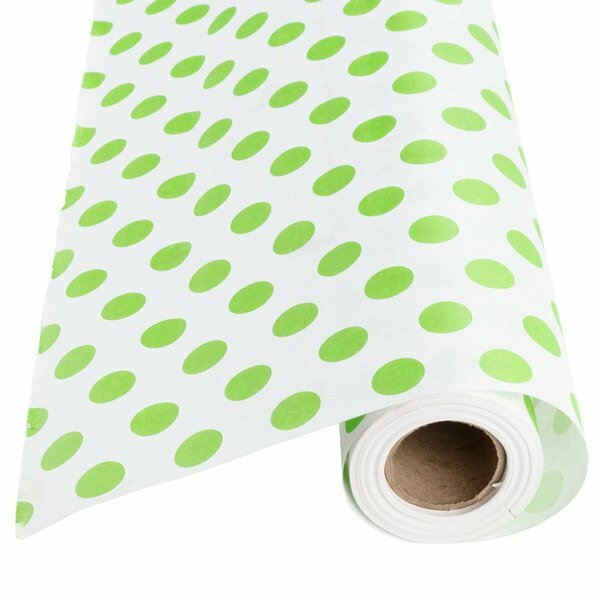 The convenient roll styling makes it easy to cut to size, and the 100' length ensures you won't run out of roll anytime soon. 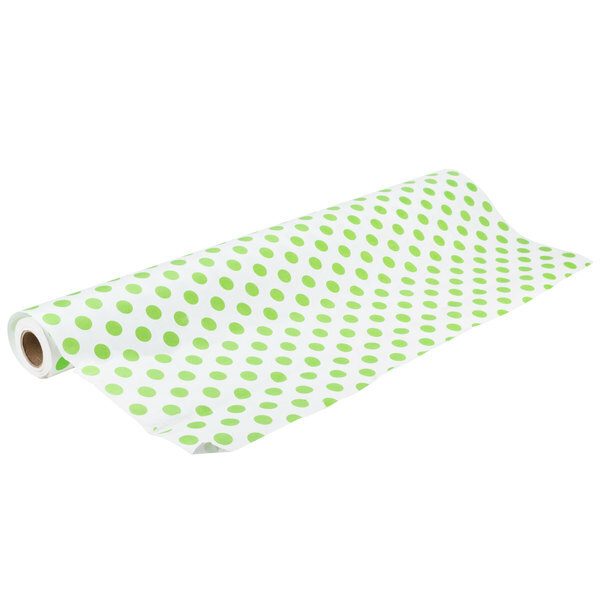 This eye-catching roll table cover features a classic white and green polka dot pattern for a timeless look that's sure to please your guests. 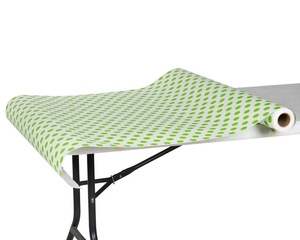 It's made of strong 60# paper that will repeatedly provide you with a quick, clean, and disposable eating surface without the fuss of laundering cloth table covers.